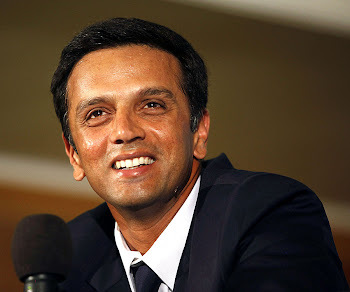 Former Indian skipper and coach Ajit Wadekar said that the continued failure by former Indian skipper Rahul Dravid was self-inflicted and instead of worrying too much about failures he would do wonders if he could just play freely without worrying too much about the future. "Dravid is still the same batsman that he was ten years ago. He still has all the shots in the game and is still respected by his opponents as one of the best middle order batsmen in the world. The only difference is that he is unduly putting himself under pressure by thinking about what could happen if he fails again, instead of playing freely like he used to in the past," Wadekar told Cricketnext.com on Friday. "It is not that Dravid has forgotten how to bat. His problem is self-inflicted. I think the pressure of failure is getting to him. The best way to counter this is to simple close your mind to the comments and advises, which come aplenty, and bat freely because worrying too much about the failures will not help in any way and only runs count at this point of time," he added. Well said Mr.Wadekar.It is looking like Rahul is taking unnecessary pressure of failure.He must not think about his future and play freely.Looking at current situation, these words from former captain should add some concrete to the Wall! in my new post I've included your article on kumble.